FAQ: Is Sensory Processing (or Integration) Disorder (SPD) the same as Sensory Processing Sensitivity (SPS)? Further, HSPs process stimuli in a highly organized, big picture way, which includes awareness of nuances and subtleties that others might not notice. Again, at times, HSPs can become extremely overstimulated by the sheer amount of information they may be asked to process. Non-HSPs in our society, who make up about 80% of the general population, do not experience the same level of overstimulation that causes distress to HSPs, and therefore we might say that the amount of stimulation in the environment is set up for the other 80%, not for HSPs. Regardless of the profound differences in these traits, there are ways to minimize overstimulation. Many with Sensory Processing Disorder have found success with occupational therapists who help them better integrate stimuli into their experience. Indeed, many people without the full-blown disorder benefit from these methods, and some parents of highly sensitive children, children without the disorder, say it has helped them. 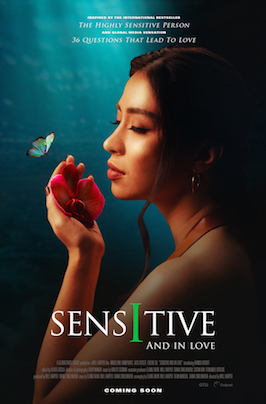 In contrast, many with Sensory Processing Sensitivity have found success by simply becoming educated about their genetic trait (or their child’s). They learn to create a proper balance in their day which may include meditation, creative arts, walks in nature, yoga, and learning which environments serve them best. Many have found seeking outside professional help from those who are educated about SPS to be helpful — mainly to help them reframe and understand their experiences as being normal. Perhaps the truest test of what differentiates SPS from not only SPD, but also other diagnoses such as Autism and Aspergers Syndrome, are the four things all HSPs have in common ~ the D.O.E.S. 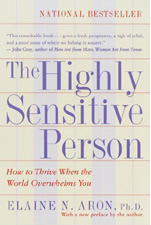 as defined and eloquently explained in Elaine Aron’s book, Psychotherapy and the Highly Sensitive Person. Does this person reflect more than others about the “way the world is going;” the meaning of life or their line of work? Is this person slow at making decisions, preferring to have “a little more time,” but often makes very good decisions? Is this person known for their good ideas? Does this person exhibit personal insight and have a sense of long-term consequences, perhaps leading to unusual conscientiousness? Does this person experience overstimulation and burn out due to the sheer amount of incoming information, experiencing a sense of not being able to handle any more? And when in a gentle environment, do they effectively process and integrate stimuli? Do others sometimes think something is wrong with them because they cannot handle as much as others seem to? This may be because HSPs often decline activities, even if enjoyable, in order to take care of themselves. Does this person need more sleep and downtime than their family and friends? Is this person more easily and appropriately moved to tears of joy, gratitude or relief, and equally moved to laughter whether by sheer silliness or subtle irony? Does this person react more to the emotions of others and often know what you are feeling far more than others do? Does this person become more distressed by violent TV shows or movies; unfairness, bullying, social injustice, or other disturbing events? Does this person notice small changes others miss, such as someone looking tired, the décor of a room they have only been in briefly, or small flowers or animals or even animal tracks? Is this person more aware than others of the sound of a ticking clock or dripping water, or subtle tastes and smells? Does this person notice what needs to be changed in an environment to make others more comfortable? It is a problem that the normal trait’s scientific name and the disorder have such similar names. We hope this helps.